Tasting Notes: The 2014 vintage featured moderate temperatures and a dry autumn – perfect conditions for aromatic white varieties such as Riesling and Gewurztraminer. 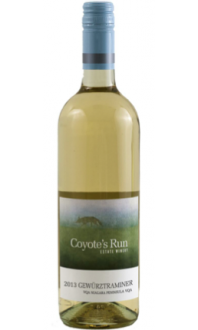 This fresh, racy blend features intriguing aromas of apricot, blossoms, and fine herbs. On the palate, zesty lime and grapefruit notes shine through with tropical notes poking through. 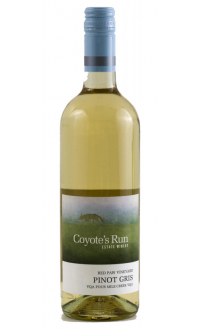 The wine finishes with a touch residual sweetness to balance the lively acidity. Pairing Notes: This wine is a brilliant choice with white meats, fish, or shellfish dishes. Great options include grilled pork loin, seared tuna, or steamed mussels with saffron. Production Notes: The wine is comprised of 85% Riesling and 15% Gewurztraminer. The fruit was sourced from our own vineyards as well as from our trusted growers. Each lot was separately cool-fermented in stainless tanks so as to protect the delicate aromas. Minimal fining and filtration were undertaken prior to bottling to ensure the pure fruit flavours and aromas remained prominent.